With Korea touted as Asia's largest tequila market, spirits companies around the world are out to tap consumers here seeking the finer taste. Patron , marketed by the Patron Spirits Company, headquartered in Las Vegas, is the latest world-renowned tequila to do so. "People in the U.S. have enjoyed Patron for many years, and we're proud to now offer this extraordinary luxury spirit in Korea, and across Asia," John McDonnell, chief operating officer of the Patron Spirits Company, said in a statement. McDonnell was a former Joseph E. Seagram & Sons executive who worked for several years in Asia developing brands such as Chivas Regal Scotch whisky. "In all my years in this business, I've never seen a spirits brand grow as quickly as Patron, but people around the world know how to recognize high-quality and exceptionally smooth taste, so it's no wonder that those who enjoy vodka, gin and other fine spirits have discovered Patron tequila." 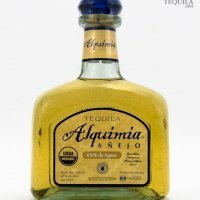 Although tequila has been around for generations, only recently has its popularity surged in Korea, and throughout Asia. Korea is now the largest market for tequila on the Asian continent, according to the Patron Spirits Company. Patron tequila was introduced to Korea this year by local distributor SBK. Patron's origins date back to 1989 when two entrepreneurs, John Paul DeJoria and Martin Crowley, whose love for tequila and desire to create the best tequila in the world, were led to a factory high in the mountains of Jalisco, Mexico, to produce the spirit. Patron has been a favorite among celebrities, such as Clint Eastwood, Peter Fonda, Cheech Marin, Dan Aykroyd and Fran Drescher. The spirits company continues to expand its portfolio and expand distribution across the globe. Patron currently accounts for over 60 percent of global sales in the ultra-premium tequila category, the company said.